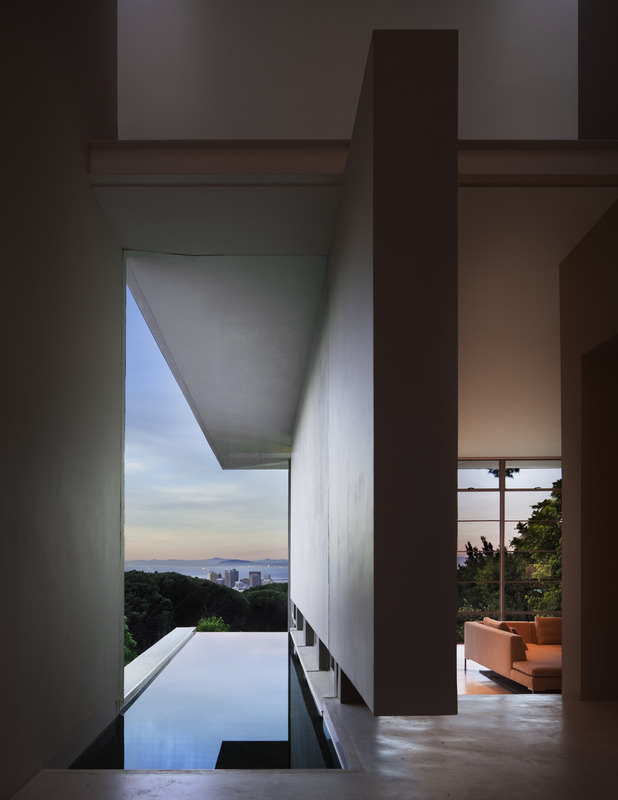 The landscape of this extraordinary site at the base of Table Mountain in Cape Town, South Africa, fully integrates the built structure with its rugged and diverse natural environment. 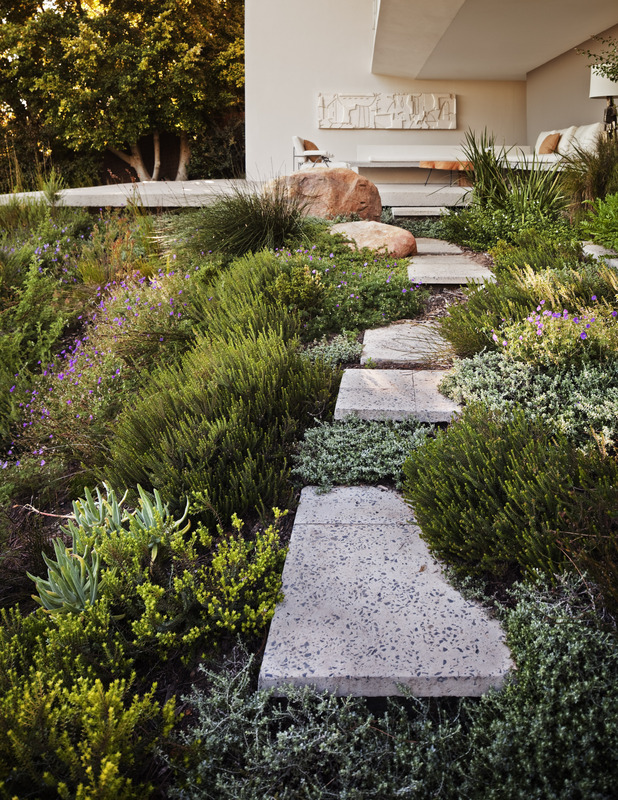 Plantings from the rich native Fynbos weave throughout the garden, drawing on the region's remarkable biodiversity. 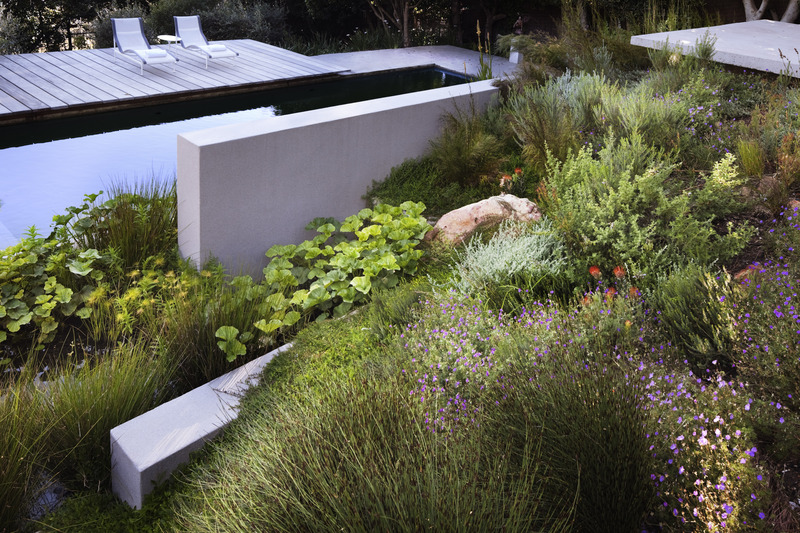 A natural swimming pool and dynamic outdoor living spaces add to the unique visual and lived experience of the landscape, which marries high design with innovative systems and ecological soundness. 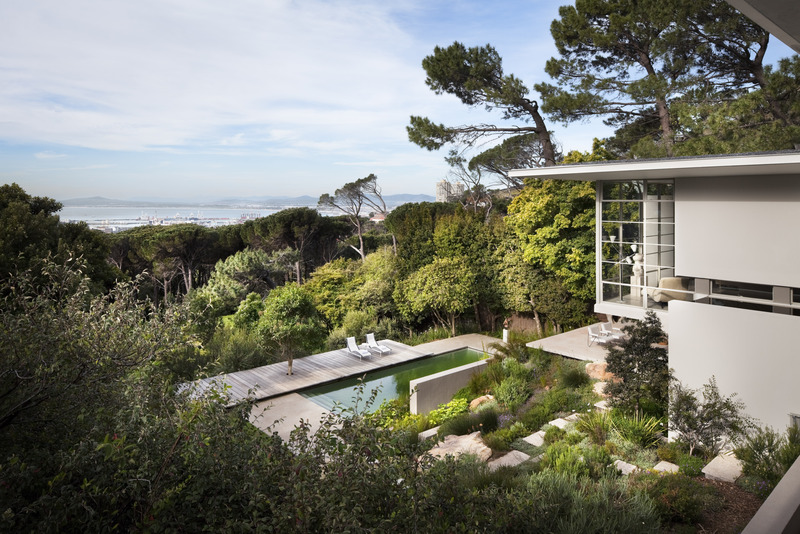 Surrounded by conservation land on three sides, this exceptional site of 1,750 square meters sits at the base of Table Mountain with sweeping views down to the city and harbor below. 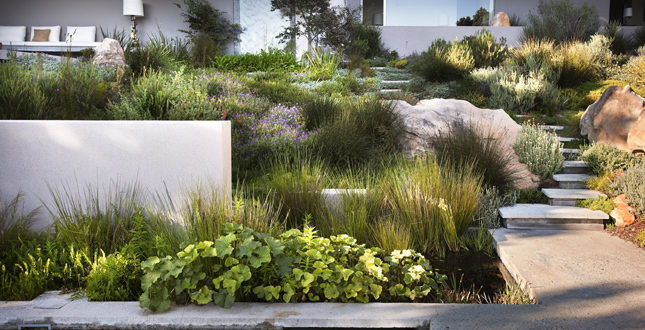 The land runs along a densely vegetated ravine, where a stream flows uninterrupted from the mountain above all the way to the urban dams below. 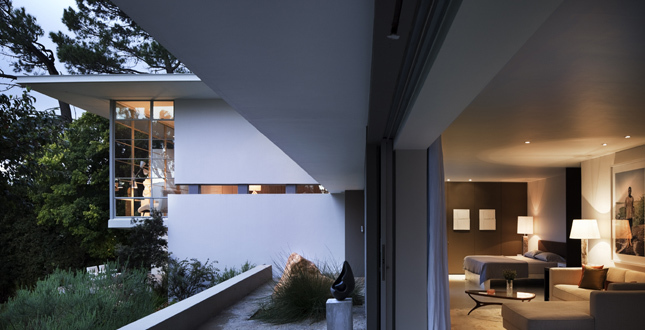 Tucked in against the mountain, this living landscape thoroughly integrates built structure with the rugged and diverse natural environment. 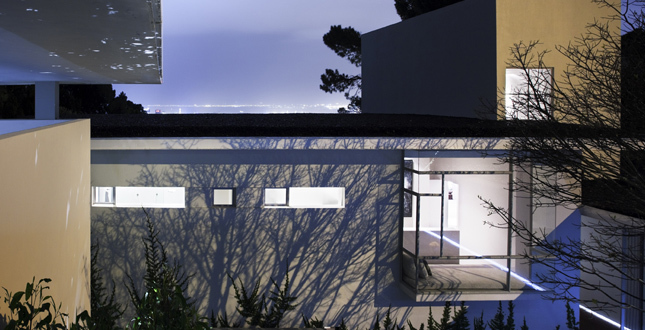 Approaching from the top of the road, a blind door gives entrance into a concealed courtyard, ensuring total privacy from the street and an adjacent neighbor and also giving protection from the strong southern winds. 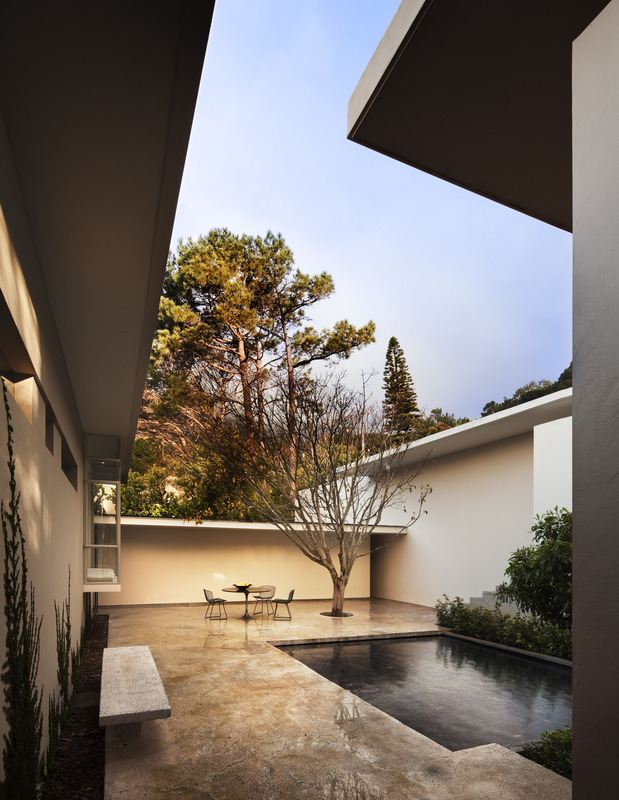 This tranquil space is suffused with the scent of fragrant shrubs and the sounds of water and is shaded by a sculptural cape chestnut tree. 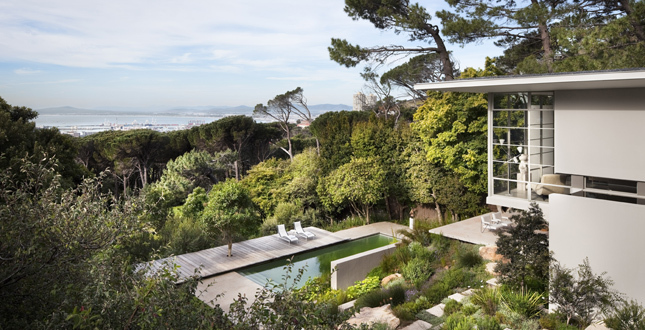 The clean lines and simple burnished surfaces of this front courtyard contrast starkly with the surrounding lushness, so that the introduction to the house is an experience of relaxation, tranquility, and peace—unexpected in the midst of such a rich and dramatic natural landscape. 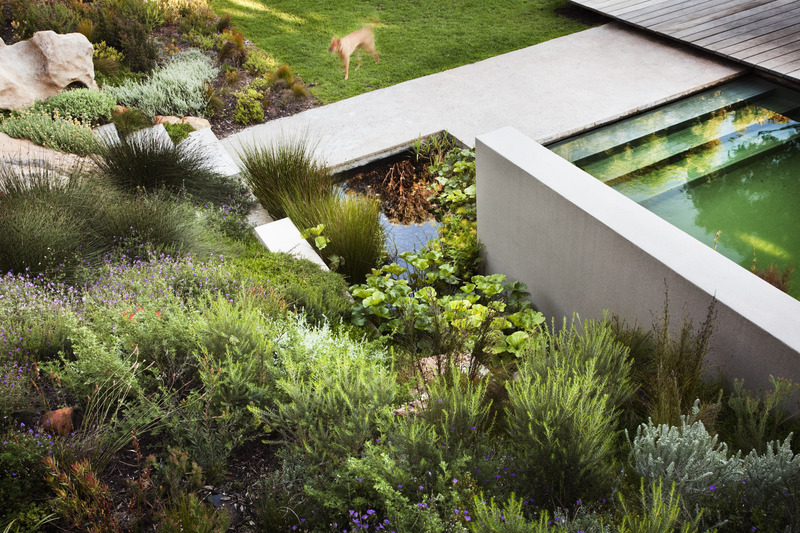 Beyond and below the house, the main Fynbos garden with its outdoor living areas and natural swimming pool stretches out as a richly textured, immersive environment. 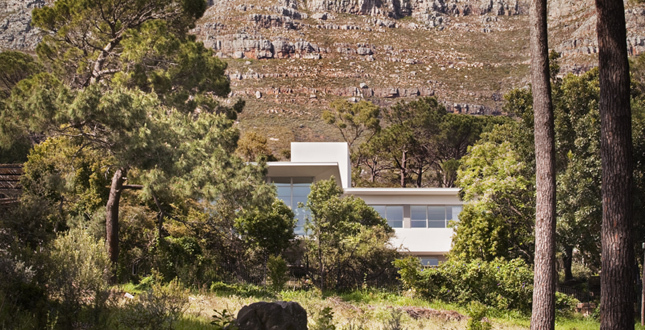 A natural heathland vegetation native only to a small belt of the Western Cape, Fynbos is characterized by a highly diverse range and number of species relative to the size of its natural borders; subsequently, this area of the continent is a global epicenter of biodiversity. 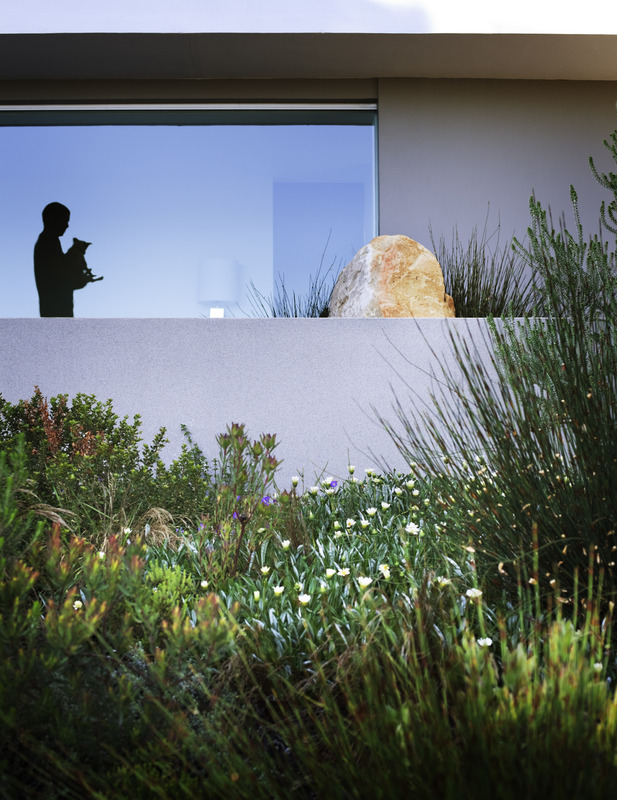 Containing thousands of different species, predominant growth forms include tall protea shrubs with large leaves, heathlike shrubs, wiry reedlike plants, and bulbous herbs, all of which thrive in the nutrient-poor rocky native soils. 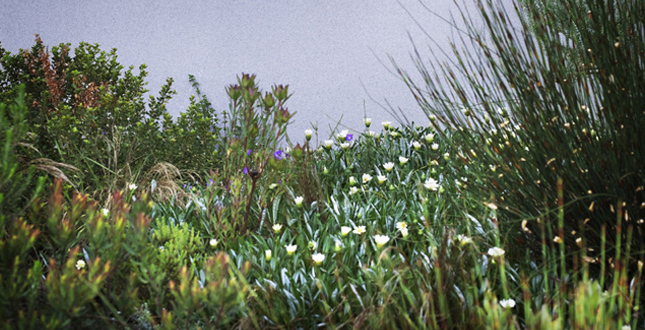 In the past century, the introduction of exotic species and encroaching human development have endangered the Fynbos. 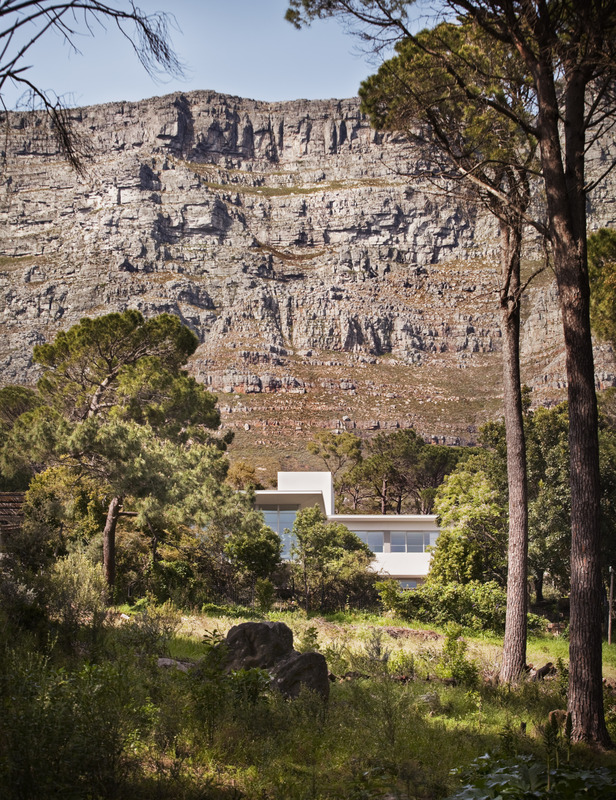 Our strategy retrieves these native plantings as the basis for a domesticated landscape, bringing them back down from Table Mountain and weaving them throughout the garden. 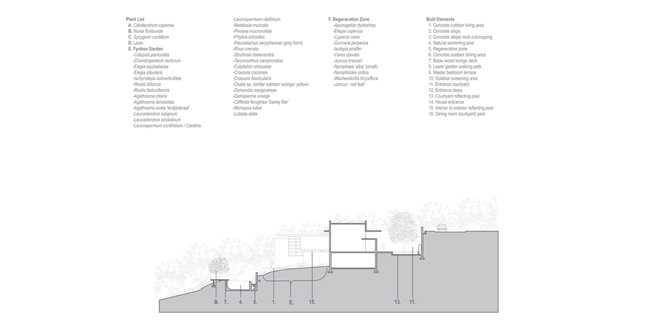 The unique character of the landscape both preserves and draws on the rich local context of the site, creating a design language that is at once ecologically based and formally rigorous. 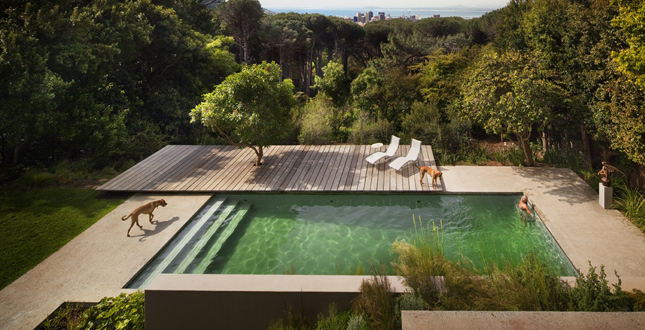 The visual centerpiece of the garden is the natural swimming pool framed by its local balau wood deck. 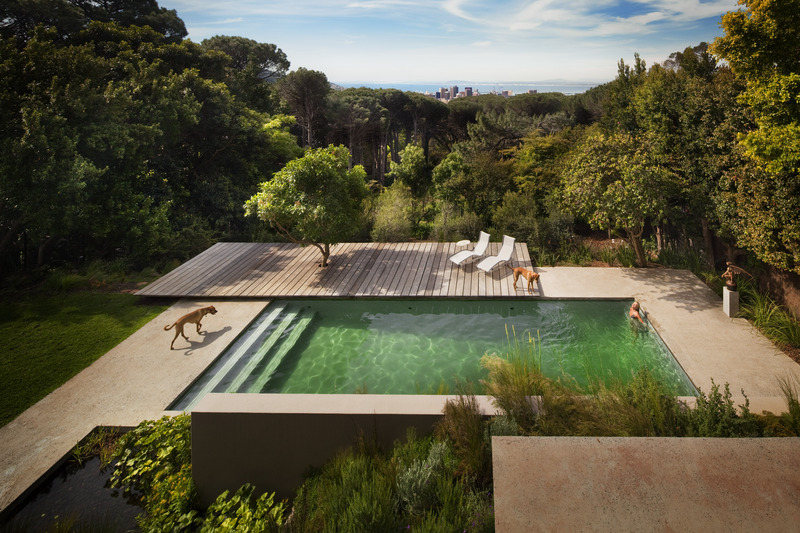 This ecologically balanced, self-cleaning swimming pool combines the natural cleansing properties of plants with sand and gravel filtration and skimming systems, eliminating the need for harmful chemicals. 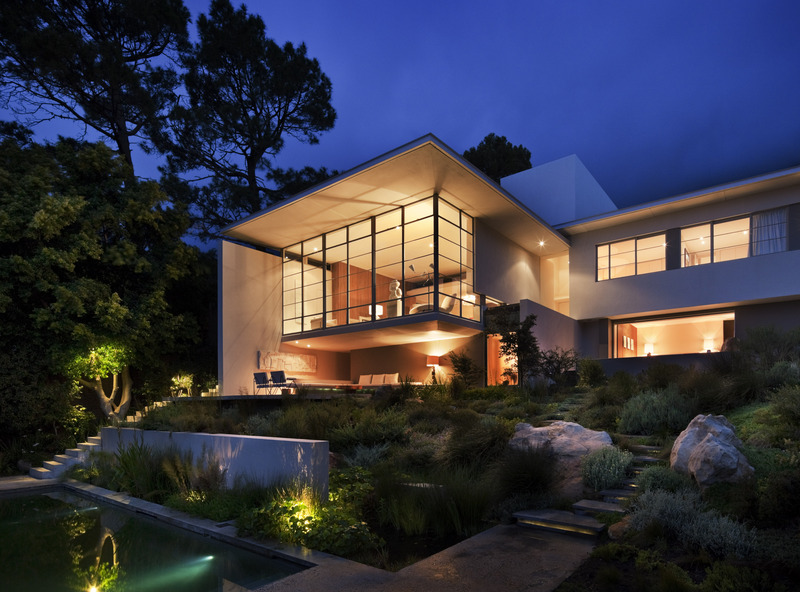 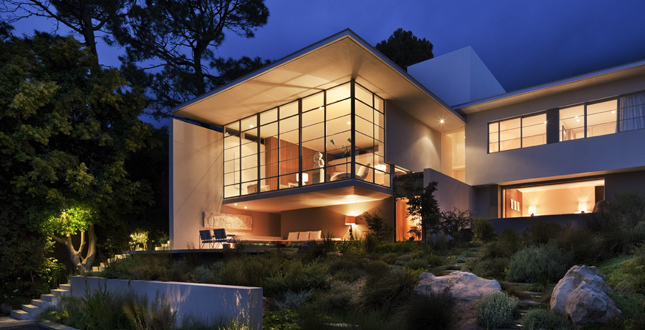 The water is pumped up from the swimming pool to a second reflecting pond that extends from the inside of the house to the outside, where the first series of filters cleanse the water. 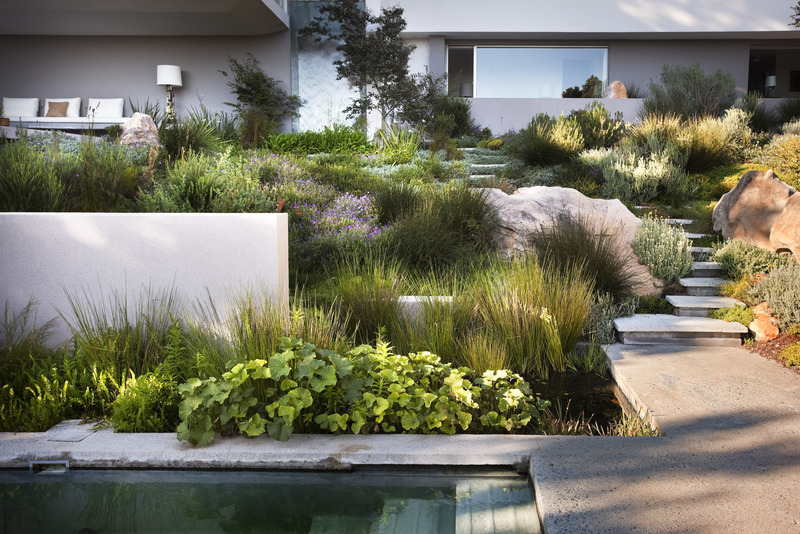 From here, the water cascades down a waterfall, providing the aeration necessary to oxygenate the water, and then continues into the regeneration zone, where plants provide the last stage of filtration before the water is returned to the pool. 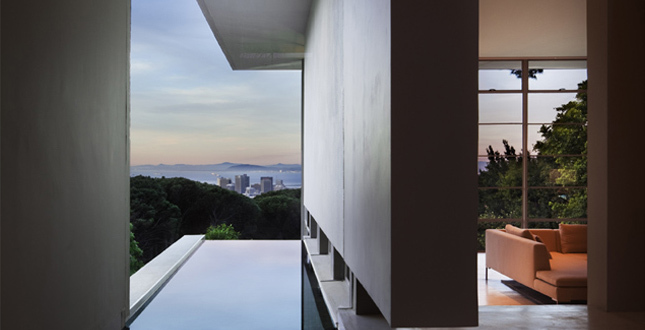 The symbiotic environments of swimming pool, biological filters, and regeneration zone are not only ecologically sound but also enjoyable—the experience is like swimming in a crystal-clear mountain lake. 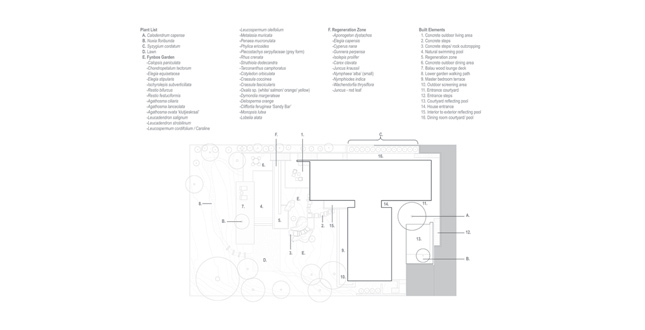 The landscape design continually creates a seamless relationship between the interior living spaces of the house and the garden rooms outside. 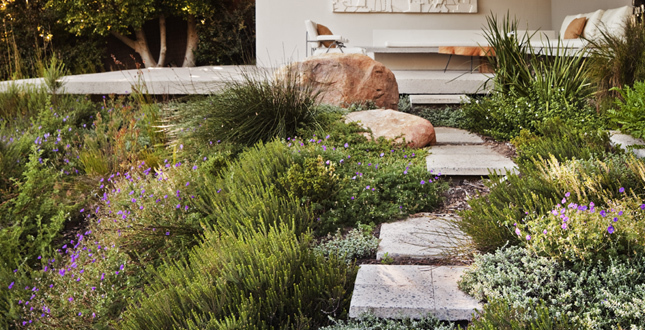 Garden pathways and steps meander through the varied planting areas, and an outdoor seating area is sheltered from the mountain winds and yet still enjoys dynamic views of Cape Town Harbor below, similar to the vistas seen from the house jutting out above the Fynbos garden. 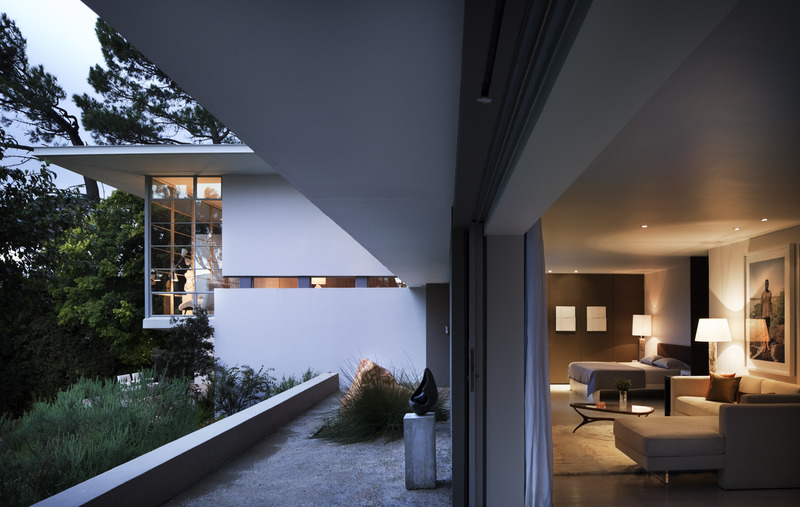 An open-air screening space extends from the free-form plan master bedroom, literally blurring the division between interior and exterior areas. 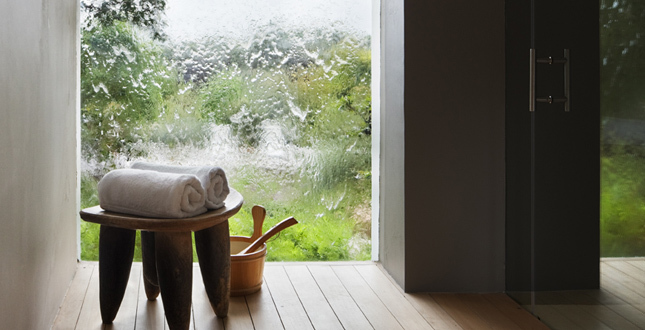 The same waterfall that provides aeration for the natural swimming pool also acts as a dramatic water wall for the sauna room beyond it. 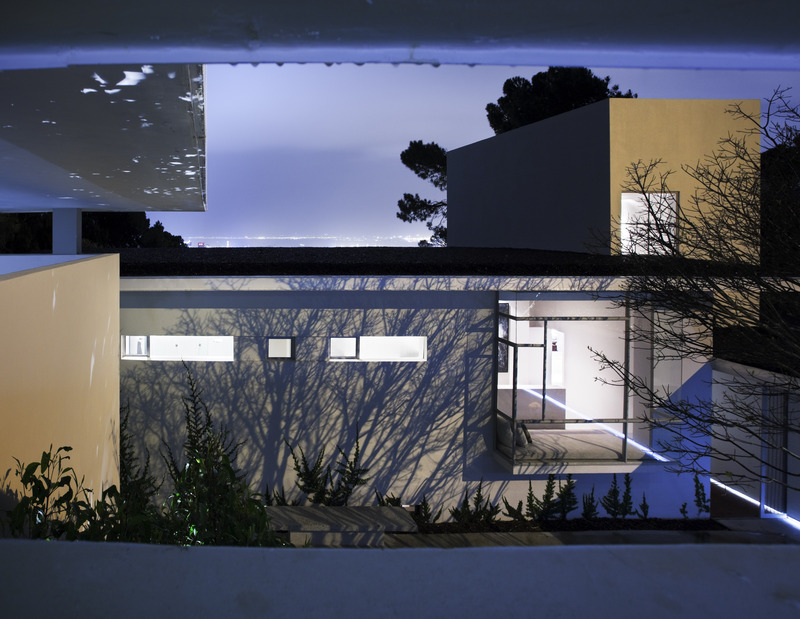 To successfully realize such a unified and yet dynamic site required close cooperation and open communication with the architect and interior designer at all stages of the project. 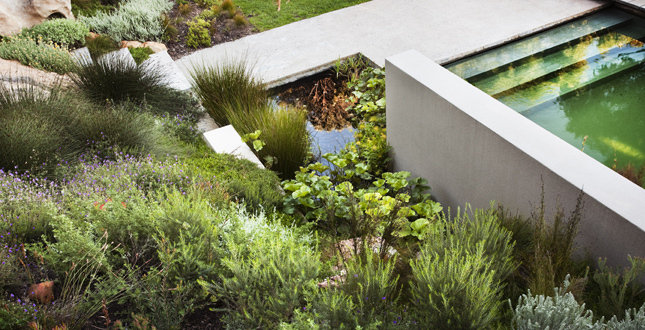 Additionally, our collaboration with local experts allowed us to effectively integrate the various landscape schemes. 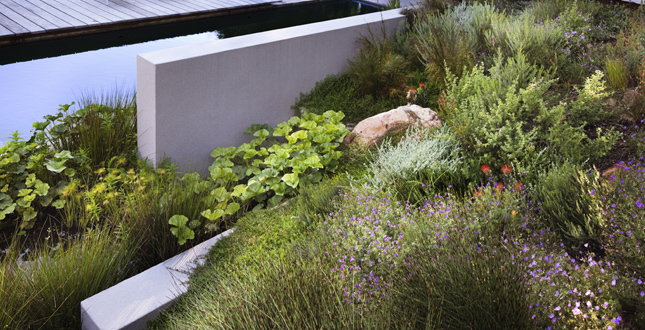 By consulting with local horticulturists and botanical gardens we were better able to explore the unique and diverse plantings of the Fynbos. 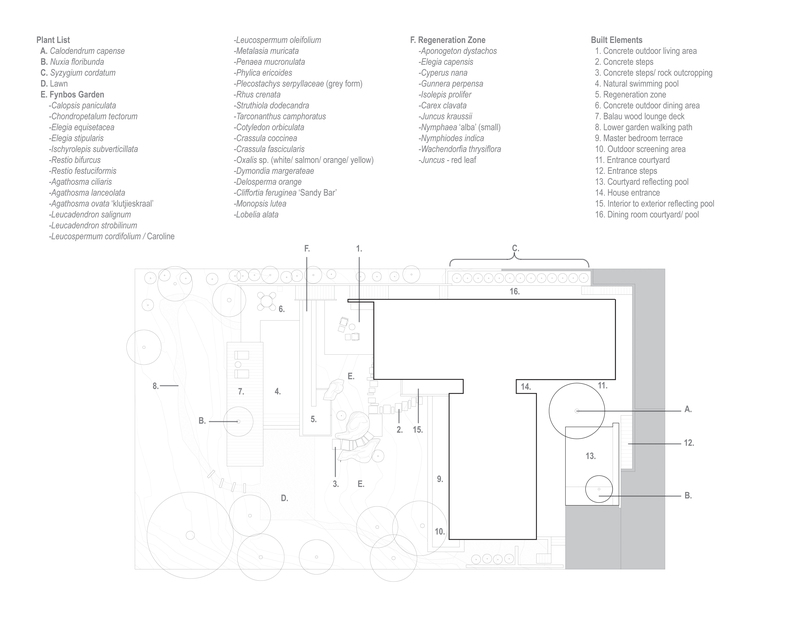 In addition, the complex systems of the natural swimming pool were more effectively integrated as we enlisted an environmental engineer who is knowledgeable about working with programmatic elements within the context of this area. 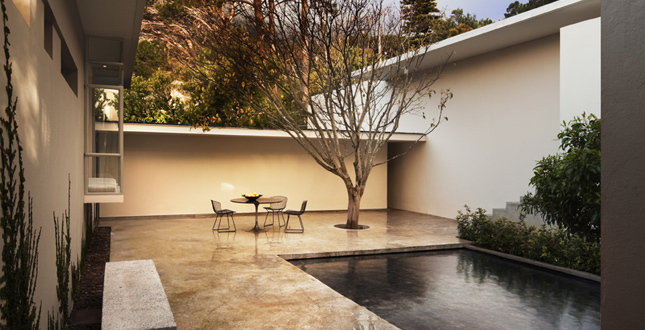 Along these same lines, locally produced materials such as poured finish concrete and local balau wood were used to minimize our construction footprint and support local industry by utilizing the craftsmanship and techniques native to the region. 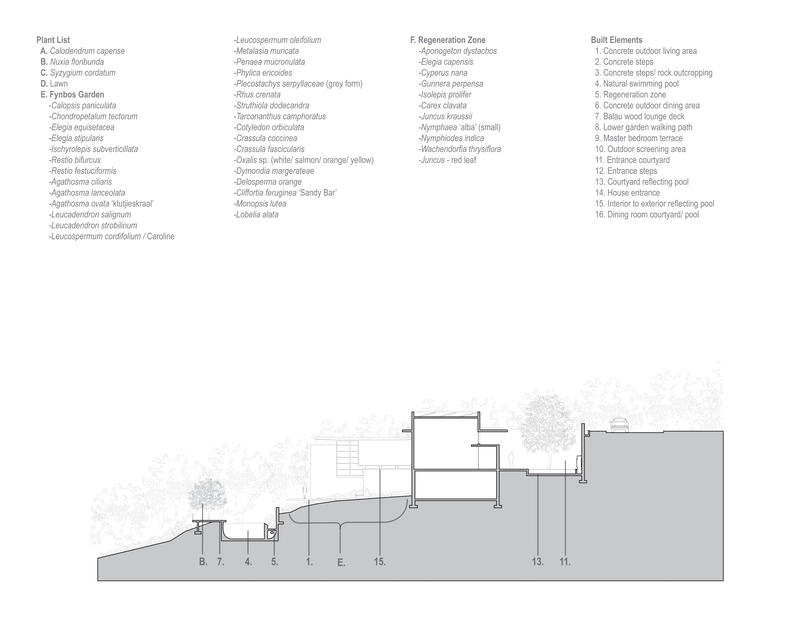 Ultimately, while distinct areas and moods are enjoyed within the site, the landscape integrates the visual and the lived experience of the built house with its extraordinary natural surrounding environment.